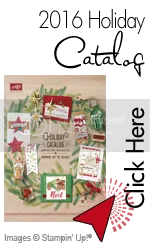 Shop My Stampin' Up! Store Now! Basic Stamping Techniques from Stampin' Up! This list is alphabetical and nothing is implied or meant to be implied about the artistic level or creativity of the bloggers. Not entirely sure how accurate all the details currently are so take with a grain of salt as this list has been compiled over the course of 18 months or more. And for a list of my favorite picks and posts as seen in my weekly feature (mostly from these blogs though a few others found as surfing have crept in as well) click here. Cloth Paper Stamps – Jacqui Reid – SU Demo – http://clothpaperstamps.blogspot.com/ – 50% SU more or less but very inventive uses and amazing dolls! I’m always looking for a few new blogs to follow so send me your fav’s if you don’t see them here. Really nice posts. I will be checking back here regularly. Jean, thanks so much for including my blog in your list! 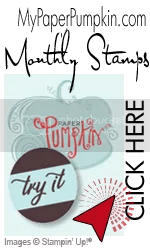 At the beginning of the year, my blog moved to InkPaperStamps.com–when you have a moment, would you kindly update your list with the new address? I appreciate it! wow, this is awesome. TFS, I have spent the morning just looking and smiling. Jean, WOW! I am HONORED to be on your list! You are the biggest inspiration to me, I had no idea you frequently visited my blog! If you have gained any ideas from me, it can only be a fraction of the help you are to me, and all SU demos! Thanks so much for all you do! I love stopping by, and will be back soon! Thanks for including me on your list. You have me on your list!! Wow! Thanks hun!! I was honored to receive…. It’s FREE…all you do is click! Watercooler Wednesday Challenge – WWC106 – Heidi’s CAS with Sparkle Challenge! Wacky Watercooler January 2017 Mini Blog Hop #2: Occasions Catalog Redux! Watercooler Wednesday Challenge – WWC102 – Love in Red on White CAS Challenge! Watercooler Wednesday Challenge – WWC101 – A Color Challenge that Shimmers! What Stampin' Up! Wants You to Know: This is my personal blog. I am an Independent Stampin' Up! Demonstrator and responsible for its content. Stampin' Up! does not endorse the use of or contents of the classes, services, or non-Stampin' Up! products I may offer here. All content (including text, photos, and design work) is © Jean Fitch unless otherwise indicated. 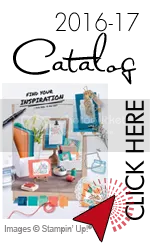 My original artwork is shared and intended for your personal inspiration only and while it may not be used for personal gain or copied for any publications or contest submissions you are welcome to CASE with proper credit and other Stampin' Up! demo's are welcome to share the basic designs with customers for inspiration...Thanks for your cooperation!